Maria Zambotti and Clemente Dallachiesa, married 1875. Family portrait, circa. 1887-1888, photographed in Castelfondo. Genealogy doesn’t always follow a straight, clear path. Sometimes you start researching one branch of the family and before you know it, you’re lost in a maze of in-laws, family cross-overs and distant cousins leading to a completely different surname! Although often confusing, it’s worth the effort to travel down side streets, for they all contain a hidden surprise! That’s exactly what happened to me during the past month. I was contacted by three different cousins, looking for info on their ancestors. Although indirectly related to the Genetti clan, I took on the task of researching their family connections and was amazed at what I discovered! I knew most families who came from Castelfondo, Italy (Austria) were interrelated. It’s a small village and your choice of a marriage partner was usually limited. Marriages were often arranged between families and it was common for distant cousins to marry. By the time I finished putting together the puzzle pieces of this branch (which includes the surnames of Dallachiesa, Zambotti, Marchetti, Genetti, Ianes and Turri – all from Castelfondo) I had a clearer picture of just how complicated cousin connections can be when your family originates from a small town in the Italian Alps! Since this is a long, complicated story … I’ll break it into several blog posts. You’ll soon see why! First let’s start with Arleen Dallachiesa. Arleen contacted me back in June (see past blog post). She already had a good family genealogy mapped out and was wondering about the connection of her father Fred Dallachiesa to the Genetti family, since she believed Fred and Gus Genetti Sr. were cousins. 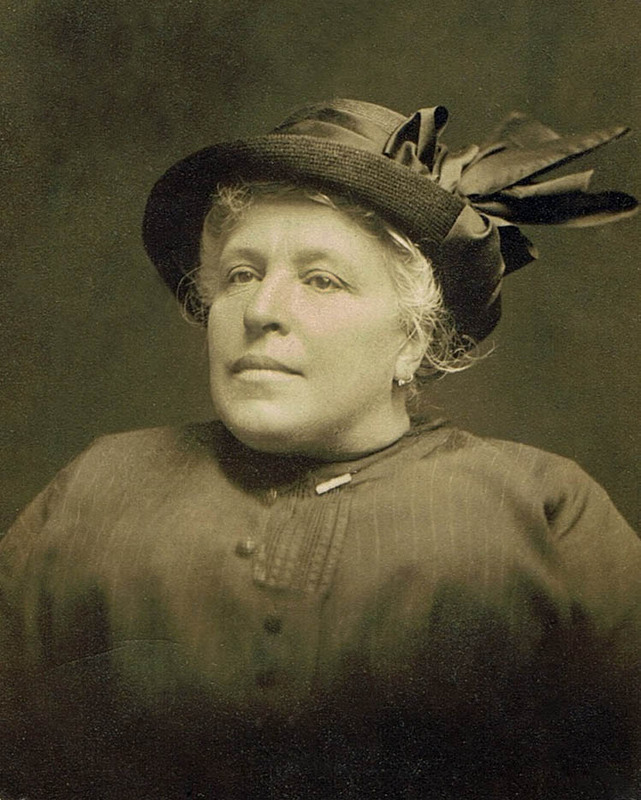 It didn’t take long to find the connection – Fred’s grandmother was Maria Zambotti Dallachiesa (1854-1906), older sister to Gus’s mother Oliva Zambotti Genetti (1861-1938). Fred and Gus were first cousins, once removed. Plus Maria and Oliva’s grandmother, who married into the Zambotti family, was Maria Barbara Genetti (1796-1844), an ancestor of the Genetti branch who immigrated to Illinois. So Arleen was related to me twice, as a 3rd cousin through the Zambotti family and a 4th cousin through the Genetti family. 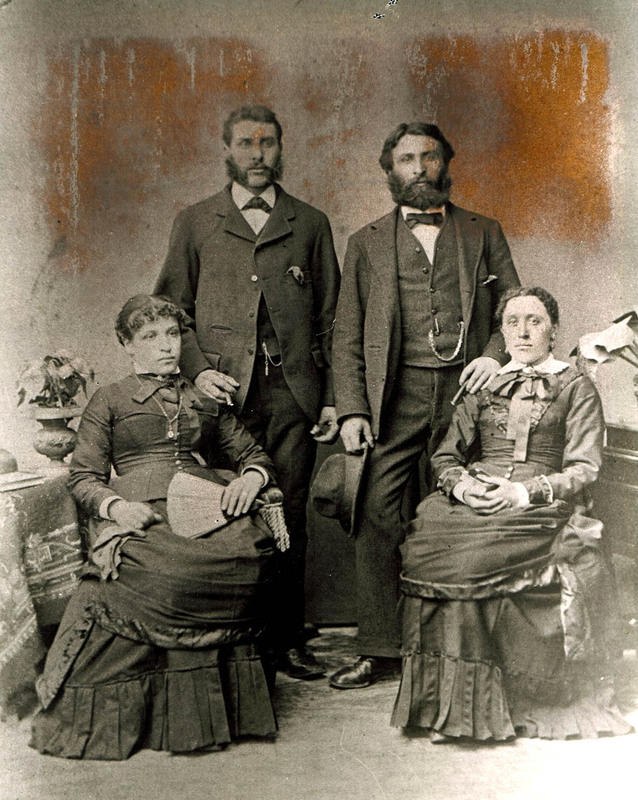 I decided to add Arleen’s great-grandparents, Maria Zambotti and Clemente Dallachiesa (1844-1905) to our online tree since they were related to the Genetti family through two different branches. Arleen and I kept in-touch for several months, solving a few mysteries and swapping research. Then a month ago, I received a request through Ancestry.com from Melissa Stidom. She was looking for information on her 2nd great-grandfather, Clemente Dallachiesa. Wow, I thought, what were the chances of two cousins (who did not know each other) contacting me through the Dallachiesa family connection! I knew that Melissa was certainly related to Arleen! After counting the generations, I concluded Arleen and Melissa were 2nd cousins, once removed. Both were related through the Dallachiesa, Zambotti and Genetti families. This was just too much of a coincidence! I knew I had to dig deeper into our shared family connections – and that’s when my research took an unusual turn down a new road of discovery! Left to right: Angela Maddalena Genetti, Ralph (Raffael) Recla, Peter Zambotti and Anna Maria (Mary) Genetti. About 1895. Photo contributed by Don Lingousky. The past few weeks have been exceptionally busy with emails from new cousins who have stumble upon The Genetti Family Genealogy Project. Along with answering emails, I’ve been busy tracking down our shared ancestry so we can enter their family information on our tree. We’d like to welcome Vicki Recla Underwood Simpson and Ralph Bones to our family genealogy project. Vicki and Ralph are first cousins from the Genetti/Recla branch. Their shared ancestors are grandparents Lawrence Leo Recla and Kathryn Piz. Lawrence was the son of Raffael Recla and Angela Maddalena Genetti of Sheppton, Pennsylvania. Vicki and Ralph have already supplied me with twenty-five descendants for our family tree. We look forward to their future contributions of photos and information about the Recla clan. Do you remember Don Lingousky from past posts and contributions to this website? Well it turns out that Don is Vicki and Ralph’s second cousin, as well as a great researcher of his own family ancestry. Don’s grandmother, Leonela Recla, was the sister of Ralph and Vicki’s grandfather, Lawrence. Emails have already been exchanged between Recla cousins and I’m sure they will be comparing ancestral notes soon. (FYI – I am Vicki and Ralph’s third cousin because we share the same great-great-grandparents, Leone and Cattarina Genetti). 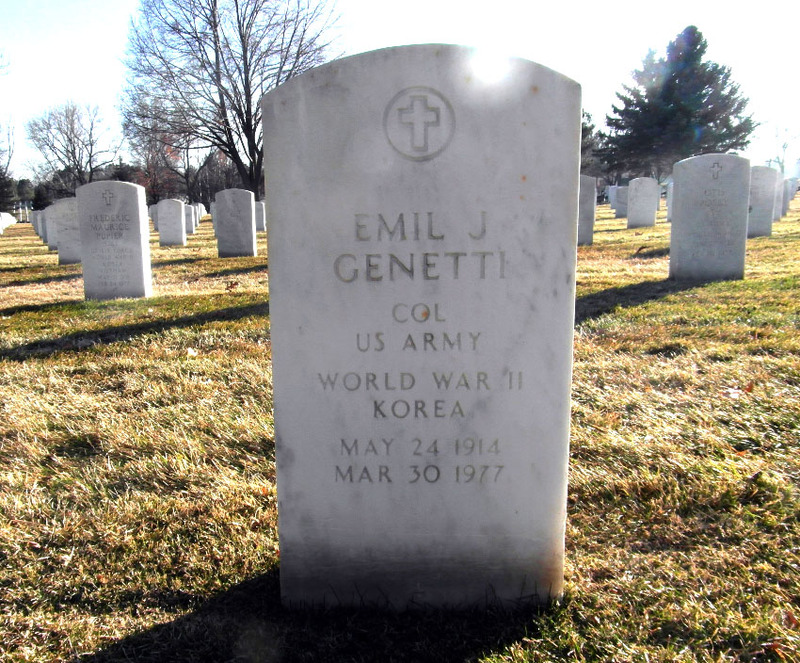 The tombstone of Col. Emil Joseph Genetti, Fort Logan National Cemetery, Denver, CO.
Also we would like to welcome Francesco Marchetti of Trentino, Italy. Francesco wrote me several weeks ago searching for information on his American cousins. His family, likes ours, is from the village of Castelfondo in northern Italy. Francesco’s 3rd great-aunt, Maria Marchetti, came to America in 1913 and married Pietro Genetti, also of Castelfondo. Their life in America and the amazing legacy that their children built deserves its own blog post! I am still researching this interesting family, but for now I can tell you that Maria and Pietro represent a new branch of our family that I have yet to add to the Genetti tree. 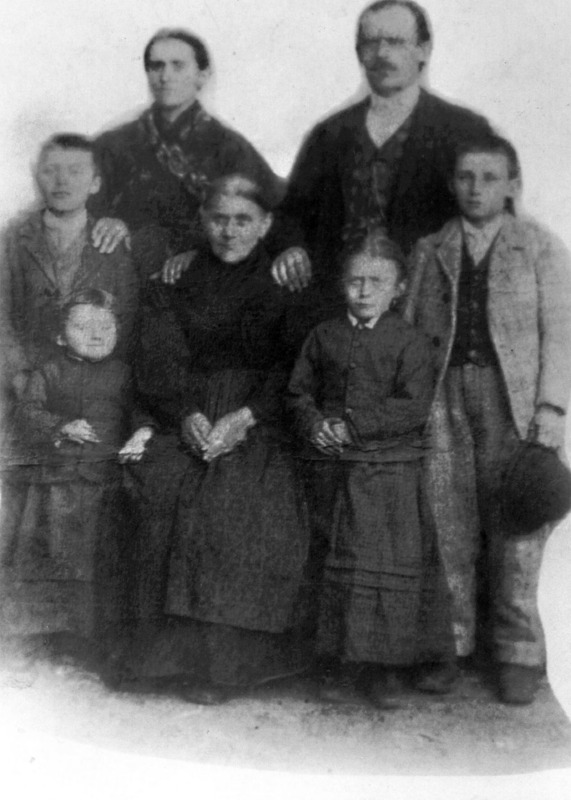 The couple settled in Michigan, had three sons and their lives are well-documented through the Federal Census and newspaper articles. Plus I have uncovered several living descendants and hope they will eventually connect with our website, adding their own stories and photos. The great-grandchildren of Maria and Pietro, now living in various locals throughout the United States, are Francesco’s third cousins. The story deepens because I am also from the Marchetti-Genetti families. After doing the math and counting the generations, I concluded that Francesco is my 6th cousin, once removed (Francesco is a generation younger than me). And I am also related to Maria and Pietro’s descendants – twice! Their grandchildren are my 5th cousins through the Genetti family, and my 6th cousins through the Marchetti family. Within a few weeks, I will write the complete story of Maria, Pietro and their sons, Emil Joseph (Primo), Albert and Florian. My sincere thanks (mille grazie!) to Francesco for contacting our website and beginning the research into his fascinating family! A final note – due to the many Genetti ancestors and their descendants who have served in the military, I have decided to compile a page honoring our family’s military history. If you would like to note family members on this page, please email photos, military history, documents, etc. to: info.genetti.family@gmail.com. I will do my best to create a suitable tribute to our family in uniform. Sadly, we bring you the news that a family member is no longer with us. Catherine O. Branz LaPorte, passed away on Monday, October 26th. Catherine was the daughter of Henry and Erminia (Erma) Branz, and the granddaughter of Damiano and Oliva Genetti. We have posted Catherine’s obituary on our Tributes Page. You can also find photos of Catherine, contributed by her sister Jean Daly, on our Photograph Page. Catherine O. LaPorte, 92, of Freeland passed away Monday, October 26th 2015, at Butler Valley Manor, Drums, Pennsylvania. Born in Freeland, she was the daughter of the late Henry and Erma (Genetti) Branz. She had previously been employed in sales by Casters Floral Shop, White Haven. Catherine was a former member of St. Anthony’s Roman Catholic Church, Freeland, and for many years had served as their choir director. Currently she was a member of the Immaculate Conception Parish at St. Ann’s Church, Freeland. In the 1950s and 1960s she was a Girl Scout leader. Forever active, she was the past president of the Hazleton Women’s Club and the Hazleton Women’s Business Club. Surviving are her husband of 69 years, Joseph LaPorte, at home; a son, Joseph LaPorte and wife, Mary, Macungie; a daughter, Judith Tomari and husband, Joseph, Freeland; a sister, Regina Daly, Waterbury, Conn.; grandchildren, Gioia Tomari Castiglione and husband, Charles, Freeland; Lea Tomari Iorio and husband, Joseph, Bethlehem; Anthony LaPorte and wife, Jamie, Slatedale; Andrew LaPorte, Cincinnati, Ohio; and Michael Reese, Macungie. Also surviving are great-grandchildren, Abrielle Castiglione, Lissandra Castiglione and Domenic Iorio. A Mass of Christian Burial will be celebrated on Saturday at 10 a.m. in the Immaculate Conception Parish at St. Ann’s Church, Freeland, followed by burial in Calvary Cemetery, Drums. Family and friends may call at the church on Saturday from 9 to 10 a.m. In lieu of flowers, the family would appreciate memorial donations be made to the Immaculate Conception Parish at St. Ann’s Church, 898 Centre St., Freeland, PA 18224. Thank you Jean Branz Daly for sharing another wonderful memory! This happy gathering of cousins probably took place sometime in the late 1980’s or early 1990’s. From left to right: Catherine Branz LaPorte (1923-2015: daughter of Erma Genetti and Henry Branz), Esther Bott Clark (1915-2011: daughter of Dora Genetti and Verecondo Bott), Betty Zambotti (1912-1995: daughter of Tillie Genetti and Peter Zambotti), Ann Genetti McNelis (1903-2005: daughter of Damiano and Oliva Genetti), Agnes Bott Yorke (1917-1994: daughter of Dora Genetti and Verecondo Bott), and Jean Branz Daly (living: daughter of Erma Genetti and Henry Branz). 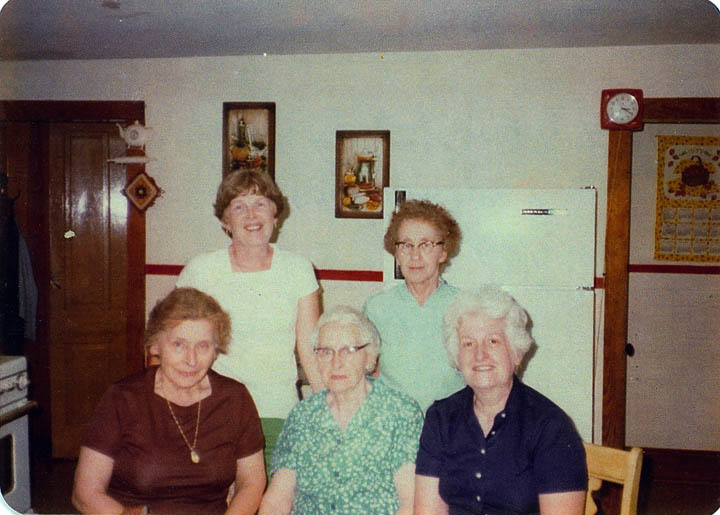 All of the ladies were first cousins and the granddaughters of Damiano and Oliva Genetti, with the exception of Ann Genetti McNelis (center with sunglasses). Ann was the youngest child of Damiano and Oliva and was the aunt of this smiling bunch. Thank you Jean, for once again contributing to our Photograph Page. Please visit the Gallery Section of our website for more family stories, photos and memories! Recent News: We extend our sympathies to the families of Jean and Catherine Branz. On Monday, October 26th, Jean’s sister – Catherine Branz LaPorte, passed away at the age of 92 after a brief illness. We are so sorry that another family member is no longer with us. Our thoughts and prayers are with your family at this time of sadness. There’s so much happening at The Genetti Family Genealogy Project! Lots of new connections, lots of new cousins! Welcome to new cousin Jennifer Liptok and her family. Jennifer found me two weeks ago on Ancestry.com while she was researching her maternal roots. I maintain a private tree on that website for both sides of my family. Because it is private, the tree cannot be accessed by the general public. When Jennifer did a search on Ancestry for her Nonna’s family, a ton of suggestions pointed to my private tree. She sent a message asking if I had info or photos of her great-grandmother’s family and would I share them with her. Lol … Jennifer certainly connected with the right person! 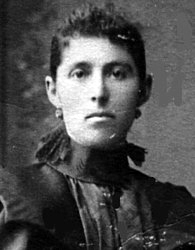 Her bisnonna (great-grandmother) was Addorlorata Erminia Genetti Bott (1889-1971) – also known as Dora, eldest daughter of Damiano and Oliva Genetti. Dora was my grandfather’s sister and my great-aunt. That makes Jennifer my 2nd cousin, once removed. I was thrilled to meet a new cousin, and of course, pointed her directly to The Genetti Family Genealogy Project. Her great-grandmother, Dora, shows up in many photos on our website. Plus I have a good amount of information on Dora as part of my own ancestral research. Since Jennifer’s family is a direct descendant of my family line, all of her mother’s side of the family has been documented on the private Genetti family tree that I maintain offline. I already knew the name of her sibling, parents and grandparents! By-the-way, the names and birth dates of all living descendants are noted on the online Family Tree simply as “living”. No private information of living family members is published on our website. The master family tree that I maintain on a separate hard drive, contains vital stats for descendants of the family – both alive and deceased. I do my best to keep this up-to-date, so that our lineage will be passed down to future generations. If any family member would like a digital printout from this private tree, contact me at info.genetti.family@gmail.com and I will generate a Descendant’s Report for you. This type of report is helpful in researching your direct family line (4 or 5 generations) as well as finding your living cousins. Thank you for contacting us Jennifer. I hope our family website helps with your ancestral research. Watch for more cousin stories next week! See photos of Dora Genetti Bott on our Photograph Page. Also visit the Family Page for Damiano and Oliva Genetti to see Dora with her siblings and parents. A few days ago, I received a beautiful portrait postcard from Don Lingousky. If you remember from previous posts, Don is the great-grandson of Angela Maddalena Genetti Recla (1865-1937), born in Castelfondo, Tyrol. She emigrated to Sheppton, Pennsylvania in 1882, (see previous post). During the past year Don has shared many family photos and stories with our website. Because our great-grandparents were siblings, Don and I our third cousins. Another piece of the family puzzle found through cousin connections! This is the reason I love genealogy! Visit our Photo Page to see both the back and front of this lovely heirloom. Many thanks to Don Lingousky for your gracious sharing and continuing support of our family website. Maria Zambotti Dallachiesa (1854-1906) and Clemente Dallachiesa (1844-1905), married 1875. Family portrait, circa. 1887-1888, photographed in Tyrol. Children (left to right): Giuseppe?, Olivia, Maria, and Pietro? (The boys were only 2 years apart and are about the same height, not sure which is the older boy, but it is assumed the first born son would be placed next to his father). 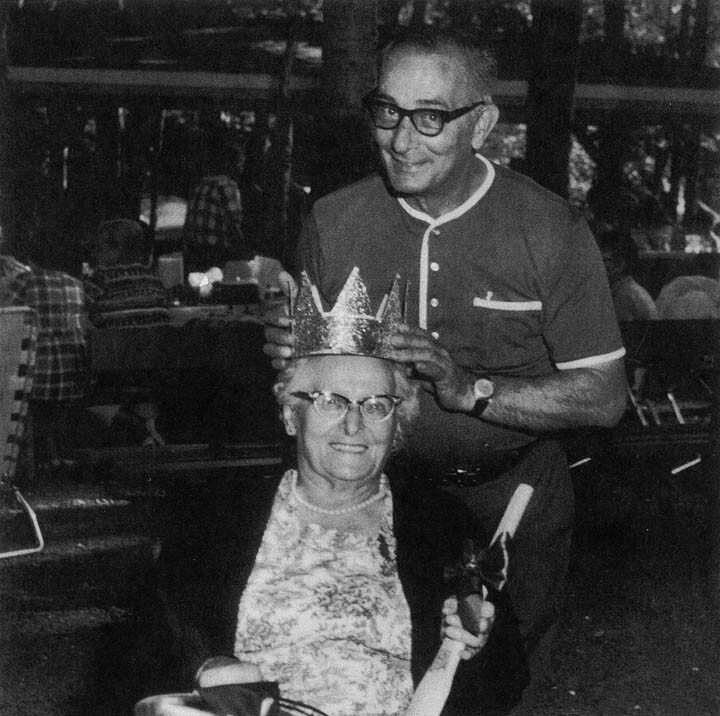 The older, seated woman is most likely Clemente’s mother, Barbara Marchetti. A month ago, I received an email from a sharp-eyed visitor to our website named Arleen Dallachiesa. She had spotted an error on our Photograph page. The labeling of one name on the large group photo taken in front of the old hotel in Weston, PA was incorrect, since it happened to be her great-aunt. She also remembered the hotel from her childhood. Arleen wrote to me: “It is my understanding that my grandfather Fortunato (Tuno) Dallachiesa and Gus Genetti were cousins.” Since I knew Dallachiesa was a common family surname in Castelfondo and that the family had emigrated to the same area of Pennsylvania as the Genettis, I was fairly sure Arleen was correct in her assumption. But neither Arleen nor I new the common link between our families. When I arrived home from my travels, I went to work sifting through family trees. Arleen had provided me with the names of her great-grandparents, Clemente Dallachiesa and Maria Zambotti. It only took a moment to find the connection through the Zambotti family. Arleen’s great-grandmother, Maria, and my great-grandmother, Oliva, were sisters. That would make Maria and Oliva’s children first cousins. Arleen’s father, Fred, was Maria’s grandson. Therefore, yes, Fred Dallachiesa and Gus Genetti were first cousins, once removed because Gus’s mother and Fred’s grandmother were sisters. Louise to Arleen, July 12, 2015 – I have a number of surprises for you. Yes we are related, but not how you think. Your great-grandmother Maria Zambotti Dallachiesa and my great-grandmother Oliva Zambotti Genetti were sisters. 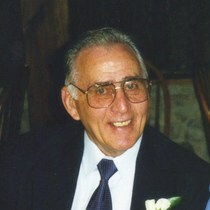 Oliva married Damiano Genetti who was the founder of the Genetti Markets. Maria and Oliva had another sister, Lucia, who married Damiano’s brother, Rafaele. “Ralph” and Lucia were the owners of the hotel located in Weston pictured on our Photo page! That means you and I are cousins through the Zambotti family. Our shared relatives are Alessandro Zambotti (1825-1906) and Maria Covi (1831-1900), our 2nd great-grandparents. That makes you and I – 3rd cousins! You are also 3rd cousins with the great-grandchildren of Ralph and Lucia Genetti (as am I). 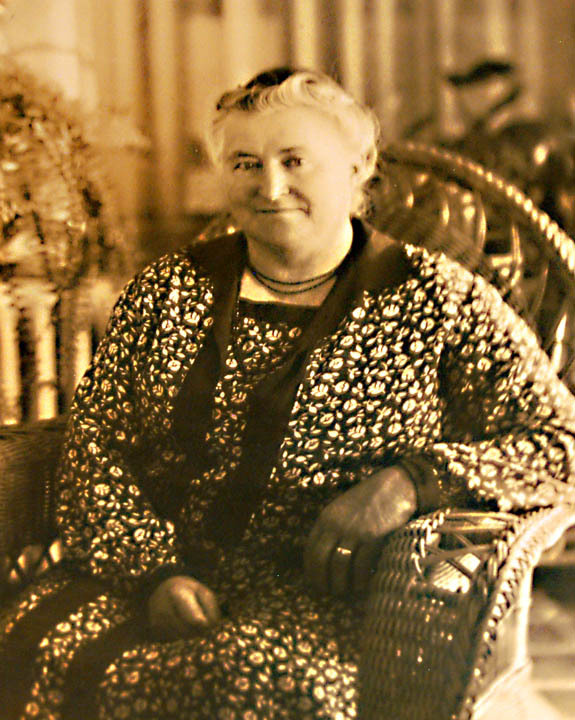 Louise to Arleen, July 13, 2015 – I believe the photo was taken between April 1887 and April 1888. Maria and Clemente’s daughter Angela died on 5 April 1887 at the age of 2 years old and is not in the photo. Also their son Valentino, who was born on 8 April 1888, was not in the photo. Therefore, the portrait was most likely photographed during 1887-1888 due to the absence of both children. Maria and Clemente probably wanted a portrait of their family since they had already lost two children by this time. Arleen agreed with my deductive reasoning. Although we didn’t have concrete evidence for our questions, I think we came close to the correct answers. Another amazing cousin story! And here’s one more little twist to our tale: Arleen’s great-uncle Pietro (Peter) Dallachiesa (Maria and Clemente’s oldest son) is getting married in the group photo found on our Photograph page that originally caught Arleen’s attention. And my seventeen-year-old grandmother (Angeline Marchetti Genetti) is standing just two steps behind Peter in the photo! Such a small world – a hundred years later, descendants of the ancestors pictured in this photo have found each other and are now corresponding! Thanks so much for writing to us Arleen. It’s always thrilling to discover a new cousin. Your small comment helped unlock more clues to in our ever-growing ancestral puzzle. If you would like to read my earlier post about Barbara Genetti and the startling discovery of my 3rd great-grandparents, click here. 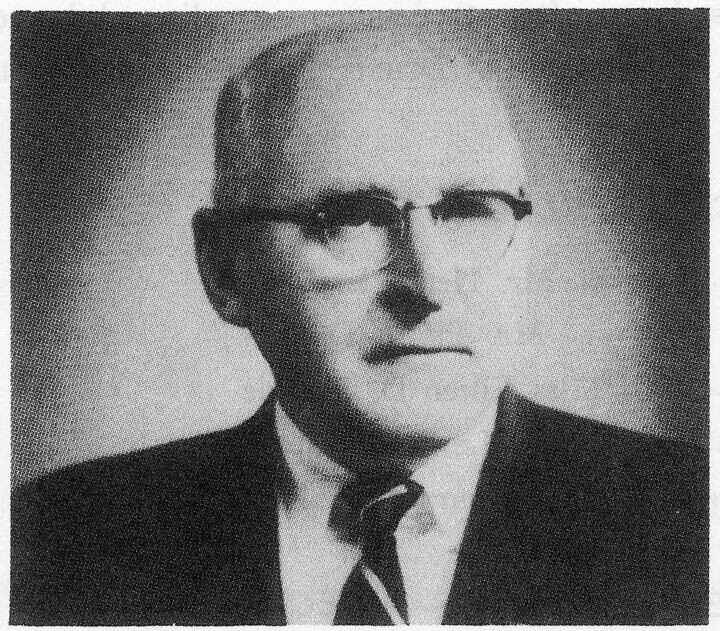 Have a comment, story or question about the Genetti family? Email me at info.genett.family@gmail.com and I will do my best to reply. Who knows what secrets we will unlock together! Until next time … ciao, ciao! 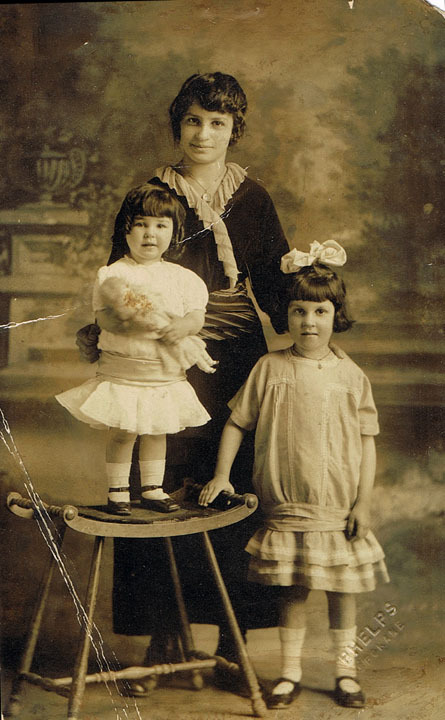 Standing: Jean Branz Daly and Leona Zambotti (daughter of Tillie). Seated: Ann Genetti McNelis, Tillie Genetti Zambotti and Catherine Branz La Porte (Jean’s sister), 1977. During the past year I’ve met many family members through email correspondence. A few weeks after our site was launched in July of 2014, I received an email from Regina Branz Daly. Jean, as she is called, introduced herself as the granddaughter of Oliva and Damiano Genetti. She was excited about the website and wanted to contribute her own memories and photos. I’m always thrilled when a cousin contacts me with information for our family website. And so began our year-long correspondence. Jean is 84 years old and of the same generation as my father. Matter-of-fact, Jean and my father were first cousins – they were born just two days apart! She remembers playing together as children. Over the past ten months we have written back and forth, shared family stories, and have become good friends. Since Jean was my father’s 1st cousin and the common relatives we share are Oliva and Damiano Genetti (Jean’s grandparents and my great-grandparents), but I am of the next younger generation – our official relationship is “1st cousin, once removed”. This past month I compiled all of Jean’s stories and photos, with contributions from her sister Catherine, into a Family Memory Page. You can now find this lovely personal memoir under the Gallery section of the Genetti website – click on the Family Stories link to find the page. Jean, her sister Catherine, and I look forward to our continuing correspondence. We will be adding more stories and photos in the future to their ongoing memoir. My sincerest thanks to both of the Branz sisters for sharing their little corner of our family history. 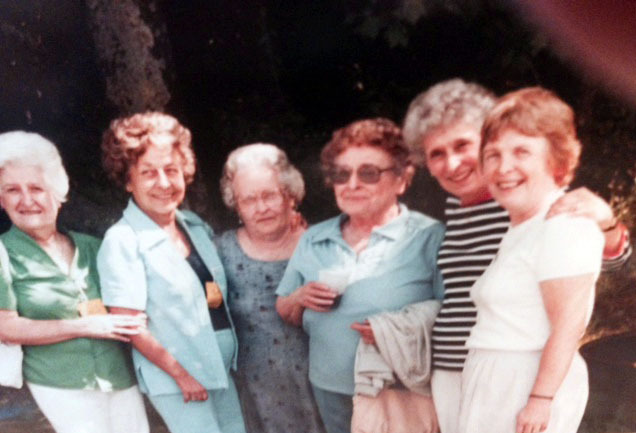 In their memories, I have found many personal connections to my Pennsylvania Tyrolean family as I’m sure you will too! Click here for a direct link to Family Memories by Regina “Jean” Branz Daly. On a final note, if you have a parent or grandparent, take a few moments and talk with them about family history. Ask them about their childhood, their parents and the town that they grew up in. Beyond dates and stats, it is the ancestral stories that matter most. Today the sages of the Genetti family are Jean’s generation. They link the memories of past and present. Don’t let this opportunity to connect with your ancestry slip away. Ask your father or grandmother a few questions, than document your conversation with a family journal, photographs and video. Your children will cherish the legacy you have created as will future generations when they look back at the words and images of their great great grandparents. Special Note: If you are interested in preserving families memories, I have added three new books to our online Bookstore with advise on how to create a treasured family memoir. Click here to find out more and scroll to the bottom of the page. You’re probably wondering how I find family news to post on our genealogy website. With thousands of Genetti descendants living throughout the United States, Europe, South America and Australia – it’s not easy. Sometimes family members send me email updates, other times I see newsy posts on FaceBook from relatives I have “friended”. Another technique I like to use for “staying in the know” and discovering new Genetti cousins is Google Alerts. Through my Google account, I’ve set up an “Alert” for the word “Genetti”. When Google searches the web and finds current news or relevant publications containing the word “Genetti” in the text, I receive an email with a link to the online story. If I think the information is newsworthy and it also pertains to a Genetti descendant, I’ll pass it on to you in the form of a blog post. That’s how I found this interesting article, “Tiny Houses, Big Plans” about LightWorks, a community-based company created by Frank Genetti. The Google Alert for this article showed up a few days ago in my email inbox. 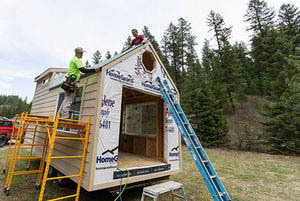 I won’t go into details, since you can read the article for yourself, but here’s the gist of it: Frank Genetti has a plan to help the homeless and change the world – one tiny house at a time. I love this concept and the mission he has created for addressing positive, self-sustaining and lasting social change. That’s why I’m sharing it with you today as a blog post. Without going into my own personal philosophy, I believe it’s important to give back to the community and Frank is doing just that. But before I could post this article, I needed to find out – who is Frank Genetti and is he related to our family? I had not heard of this gentleman, so it was necessary to find a few clues before beginning the investigative process. The article states: “A former golden boy running back at Cal-Berkeley who then went into business and lived the high life in California, Genetti eventually came back to earth. With a thud. Personal and family issues nearly consumed him. Cancer coursing through his body almost killed him. But through it all, he’s emerged a deeply spiritual man whose focus is squarely on others.” Wow – that was an amazing, short description that told me a lot about Frank. But was he actually related to the Genetti clan from Castelfondo, Italy? I knew exactly who to contact. Five years ago I met a fellow genealogist through Ancestry.com named Alexandra Genetti. Her husband, Michael, is a descendant of the Genetti family who originally emigrated from Castelfondo to Wyoming. His family then moved on to California. If you look at the original family tree pictured here, you’ll find the branch of the Wyoming Genettis in the lower right corner. I knew Alexandra was an amazing genealogist who had thoroughly researched her husband’s family and had shared information with me in the past. If Frank was related to the California Genettis, Alexandra would know. I sent her an email request for info and within a day I had my answer. Yes, Frank Genetti was related to the Wyoming/California branch of the Genettis. His grandfather was Francesco Giacinto Genetti, brother to Michael’s grandfather, Enrico Genetti. Their family patriarch was Angelo Genetti (1859 – 1946 ) born in Castelfondo, Austria (Italy). Frank and Michael share great-grandparents, Angelo and Teresa Marchetti, making them 2nd cousins. And so we would like to welcome cousin Frank Genetti and applaud your vision for creating a better world! I hope we hear from you soon, along with more information about your uplifting endeavors. To read the article “Tiny House, Big Plans” – click here! Remember to “like” our family page on FaceBook – click here! Learn more about Alexandra Genetti: artist, author and expert on the Tarot – click here! And if you are a Genetti descendant and would like to friend me, I can be found on FaceBook under the name “Louise Genetti Roach”. You can order your own copy of the original Genetti Family Tree at our online shop – click here!